Para información en Español, haga clic en el enlace. 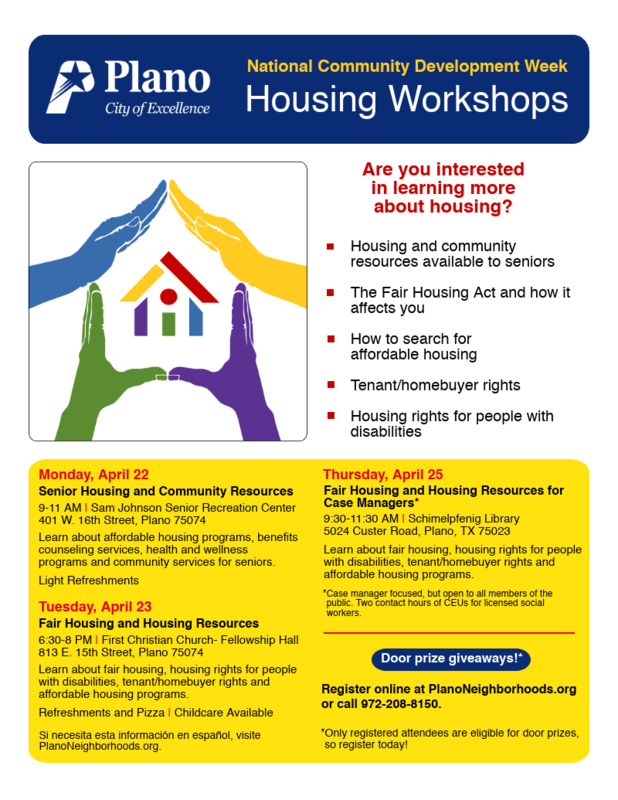 Register here to attend City of Plano Housing and Community Resources Workshops. Using this form to register will qualify you to be eligible for the door prize drawings at the end of the workshop you attend. * 1. Which workshop(s) will you attend? * 8. How did you hear about this event?